Born in April 1951, Ric was raised in nearby Chapel Hill, North Carolina. Ric received a Bachelor of Science in Civil Engineering from the Honors Program at the School of Engineering at North Carolina State University in Raleigh (1973). He received his Juris Doctor from the University of North Carolina at Chapel Hill (1977). Ric has been admitted to practice before the General Courts of Justice in North Carolina (1977) and Colorado (2009), the District Courts of the United States of America (1977), and the United States Court of Appeals for the Fourth Circuit, in Richmond, Virginia (1987). Chi Epsilon Fraternity, the North Carolina Advocates for Justice, and the North Carolina Bar Association. Ric has augmented his training in advocacy and mediation. 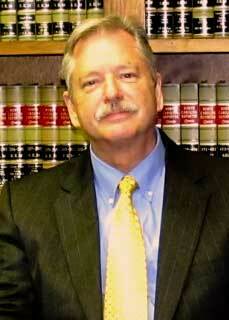 In 1996 he was certified to conduct mediated settlement conferences in Superior Court Civil actions. In 1999 he was certified to conduct mediation of equitable distribution and other family financial cases in District Court actions. In 1999 he also completed a professional intensive training program by the National Institute for Trial Advocacy. Since 2000, Ric has maintained a Martindale-Hubbell® Peer Rating of 5/5.0 AV® Preeminent, the highest possible rating. His Overall Client Rating is also an impressive 5.0 out of 5.0. We are located immediately west of the the Judicial Center in Rockingham, North Carolina.